The days leading up to your wedding are consumed with thoughts of flowers, dresses and desserts – leaving no time for the plane tickets, passports, visas and hotel reservations needed for the honeymoon. To ensure your first few days of wedding bliss are as exciting as your wedding, let me help you find the perfect fit for you to relax and enjoy getting to know one another better. You don’t just deserve the perfect wedding – you deserve the perfect honeymoon too! Whether you choose to sink your toes into the soft, white sands of the Caribbean islands, pedal through the sprawling vineyards and rolling hills of France or snorkel around the Great Barrier Reef in Australia, I can help you bring your honeymoon dreams to life. What is your idea of the perfect honeymoon? Be specific. You may have totally different ideas of what that looks like, so this will help me find something that works for both of you. What type of activities do you want to do on your honeymoon? Do you intend to lie on the beach all day? Will you be going from sunup to sundown and even after with one activity after another? Will he golf while you relax at the spa? What time of year is the best match for your ideal destination? You may be surprised to find that the time of year you get married doesn’t quite fit your honeymoon requirements – will you put off your honeymoon to make it work? Do you want complete seclusion or do you want the presence of other vacationers – especially other honeymooners? Will your honeymoon just be the 2 of you or will it include children, friends and other family? Would you like a couples-only resort? Would you be okay traveling in a country with a foreign language, foreign currency, etc? How much time can you be away to enjoy your honeymoon before returning to the rush of life? How much money will you spend? Will you be paying for the honeymoon or someone else? 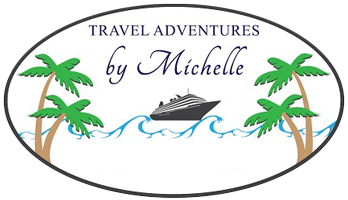 Have you considered setting up a Honeymoon Registry with Michelle – Click here for more details. Do you want to visit a place you’ve already been, or maybe somewhere new to both of you? Will you want all of your meals in one location or will you want to try all the restaurants in the area? Is an All-Inclusive right for you? Click here to decide. I look forward to working with you and planning your perfect honeymoon.